Celebrate Giving with Freeform's 25 Days of Christmas! Home » Entertainment & Technology » Celebrate Giving with Freeform’s 25 Days of Christmas! 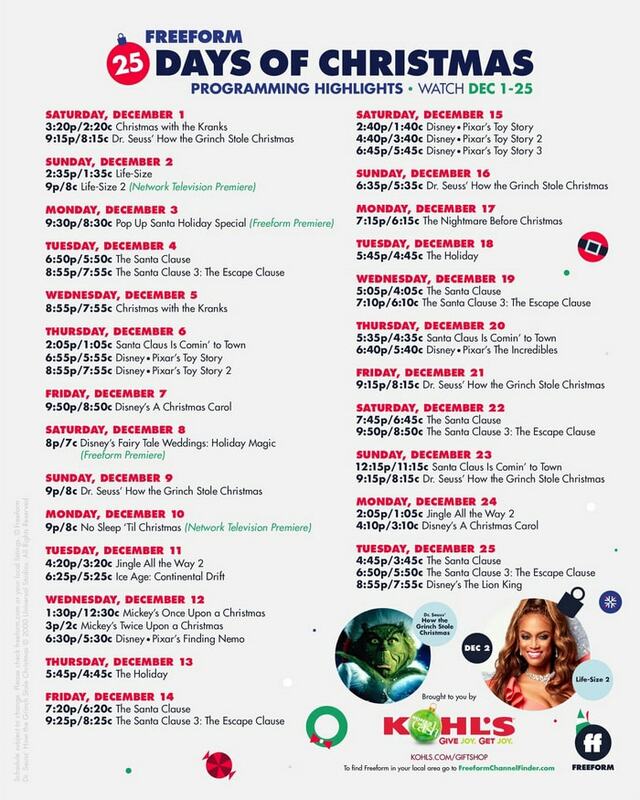 One of my favorite things about Freeform channel is their 25 Days of Christmas line up! I love all things holiday so I love being able to watch family-friendly shows with my kids. 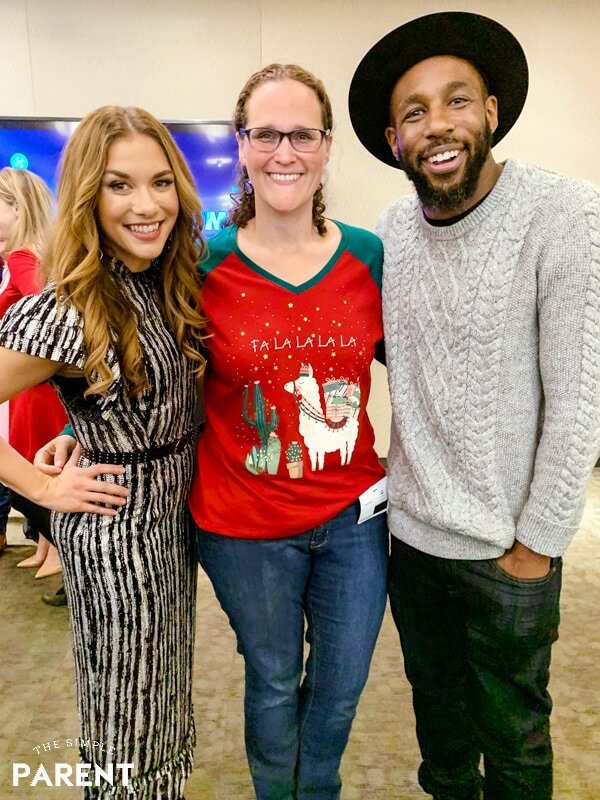 This year Stephen “tWitch” Boss and Allison Holker are hosting two amazing specials on Freeform as part of the 25 Days of Christmas. Thanks to Disney, I had the chance to hang out with tWitch and Allison when I was in LA. Disney covered my expenses for the trip in exchange for sharing about what’s coming up on Freeform this December! If you’re a fan of “So You Think You Can Dance,” then you’re probably not a stranger to tWitch and Allison. They’re amazing dancers and now I have to say they’re amazing television hosts! If you like to feel all the feels during the holidays, then be sure to tune in to these two specials on Freeform! and a special Marvel guest! Oh, and we can’t forget Freeform Santa! When we chatted with tWitch and Allison about the show, they shared that it was so magical because it’s so Disney in the way that it’s done. It’s not just about giving to people who are so deserving, but it’s doing it Disney-style. That attention to detail that we’ve all come to expect from all things Disney. Even some tears! Yes, Allison confessed that you just might get a bit emotional watching the stories and all of the heartwarming moments. It sounds like the perfect television show for this time of year! The the “Pop-Up Santa Holiday Special” originally aired on Freeform on Monday, December 3rd but it’s running all December long! So check your local listings and be sure you sit down with your family to watch! Stephen “tWitch” Boss and Allison Holker are also hosting a brand new installment of “Disney’s Fairy Tale Weddings: Holiday Magic” this year. It’s the perfect fit because they’ve been married for almost five years. Their chemistry shines through when you’re in the same room with them. 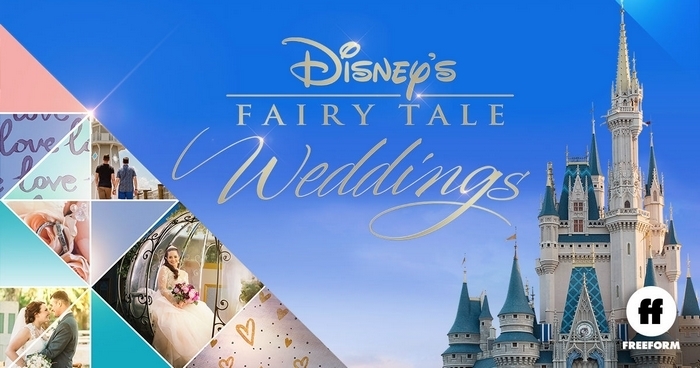 So I love that they’re hosting a show all about stunning and romantic weddings at Walt Disney World Resort! It seems like a perfect match! If you love Disney like I do, you’ll want to watch “Disney’s Fairy Tale Weddings: Holiday Magic” because it’s going to feature an incredible Mary Poppins Returns theme and a performance by music superstar Martina McBride. The show premieres on Freeform on Saturday, December 8th at 8:00pm ET. Check your local listings because this is one you don’t want to miss! It will take you back to your own wedding experience if you’ve had one! If you’re wondering why tWitch and Allison make such great hosts for these Freeform holiday specials, I think a lot of it has to do with their chemistry. We asked them what it was like to work together because we all know it can sound daunting to work with the person you love. It tests your relationship in a completely different way. But both of them shared how great it was for them. They know how the other works and are able to use that. I think it also has a lot to do with their love for the holiday season. Do tWitch and Allison have any holiday traditions they celebrate with their family? Absolutely! I think they could have gone on for days about what they do with their kids. They said they have traditions for every holiday! How fun is that? But one of their biggest Christmas traditions is taking photos with Santa. Allison promises that her kids will be doing it with them no matter how old they get. So what’s the big deal about their Santa photos? Allison and tWitch go all out — full themed and full out! Last year their theme was The Grinch and tWitch was in full costume and makeup as the guy in green! He even had prosthetics! That’s going all out! I wish I could see some of those holiday photos. Sounds incredible and like it would be so much fun! 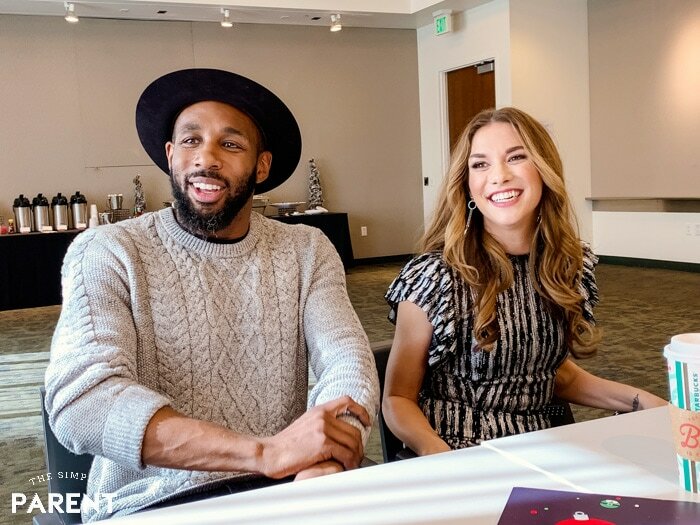 So if you’re looking to get into the holiday spirit, join Stephen “tWitch” Boss and Allison Holker for two amazing specials on Freeform this month! “Pop-Up Santa Holiday Special” premiered Monday, December 3rd n Freeform! It will air again throughout the month and is also available streaming and on demand. “Disney’s Fairy Tale Weddings: Holiday Magic” premieres Saturday, December 8th on Freeform at 8:00pm EST. It will also be available streaming and on demand!